I just love it when I find new gluten-free products on the grocery store shelves. There are a number of gluten-free pastas that I love, but my favorites are usually the ones made from corn. When I saw that this Rienzi pasta was made with corn and rice flours, I had to try it. In fact, those are the only two ingredients. Specifically, it is 70% corn flour and 30% rice flour. The flour blend makes this a less sticky pasta that most all-corn pastas, and it ranks right up there with the best brands. It’s not for the corn-allergic, but most with food allergies will do really well with this. I paired it up with chicken and fresh veggies from the farm. Cook the chicken about 5 minutes in a medium pan, turning to brown lightly. Drain. Remove chicken from the pan. Add the olive oil and heat on medium high. Add all the veggies and spices and sauté about 8 minutes. Add the chicken and reduce heat to medium-low. Toss the pasta with the veggies and chicken and serve! Each Tuesday since the end of May I have been making a trip to the local farm, where we joined a CSA this year. I wasn't sure how I was going to like being at the mercy of the farm for my veggies, or being tied to a schedule of 4-7pm on Tuesday evenings to pick up my produce. I am happy to report that I love it! Each week is an adventure. I never know whether I'll get to pick 4 items or 5. Last week I could pick 6 items and I really had difficulty choosing. Hmm... don't need onions, got some last week. Should I get more zucchini? or maybe cucumbers? In May I attended the BlogHer Food Conference in Atlanta, where Sharffen Berger was one of the sponsors. As you know, I consider chocolate it's own essential food group, so this news made me very happy. Can you ever have too much chocolate? Of course not. In addition to the great chocolate bars they gave conference attendees (which didn't make it home) they offered us a discount on orders from their website. Always on the lookout for great allergen-free chocolate choices, I decided to try the bittersweet baking chunks. These are 70% cacao, and the ingredients are cacao beans, sugar, cacao butter, non-gmo soy lecithin, and whole vanilla beans. 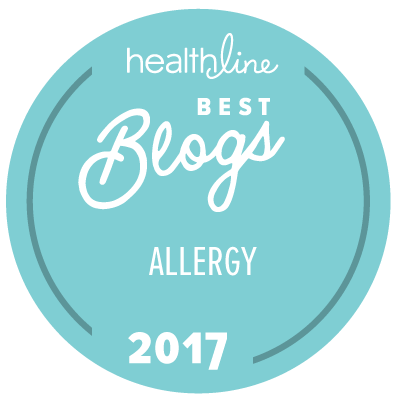 Even with my family's soy allergies, we are okay with soy lecithin (a fat component of soy). Of course, if your doctor has advised you to avoid soy lecithin, these will be off-limits, and you'll be better off with Enjoy Life's new mega-chocolate chunks. Every chocolate has a unique taste, and this one is no exception. It definitely has a bittersweet bite to it. When you eat these you know you had chocolate. Yum! About a week ago I announced Jen as the winner of the Square One Organics giveaway. Jen, I have no way to contact you directly. Please e-mail me before Friday 7/22 with your mailing address and the age of your children so we can get the gift pack shipped out to you. This is last call. Thanks! I am a big fan of hemp. In my opinion, there is no better replacement for cow’s milk – I might even venture to say that it’s better for you. I do a lot of baking with hemp milk, but was first introduced to hemp milk as a drinking milk. For years, vanilla hemp milk has been my son’s allergen-free milk of choice to have with his allergen-free breakfast cereal. When I received a big box of goodies from Pacific Foods to review, I was most excited to try the hemp milk. Being familiar with Living Harvest hemp milk, it was impossible for me to do this review without comparing the two brands. 1. Pacific Foods contains significantly more sugar (and hence more calories), and they do taste sweeter. For example, the original (plain) Living Harvest contains 6g of sugar (100 calories), while Pacific Foods has 14g of sugar (140 calories). They do not offer an unsweetened line. 2. In their favor, Pacific Foods hemp milk contains more calcium (50% versus 25%) for the original and vanilla flavors, and a bit more vitamin D. This is a quality not to be overlooked, especially if you can’t get your milk-allergic child to eat broccoli. Both products taste great. All in all, your choice comes down to sweetness versus calcium, weighed with availability in your area. Pacific Natural Foods does not produce products with eggs, sesame, shellfish, or peanuts in our facility. We do produce products containing dairy, soy, tree nuts, and corn. Every 24 hours, production shuts down for a total cleaning and sterilization of all equipment. Complete cleaning and sterilization is also performed between runs of dairy and non-dairy items. To further reduce potential for cross contamination, a thorough cleaning and flushing of all equipment also takes place after running any product containing allergenic ingredients. The same cleaning is also performed between runs of non-organic and organic products to maintain the integrity of the organic ingredients. Nonetheless, we cannot guarantee that every minute particle of an ingredient from the previous product is removed. If you or a family member has a serious allergy to ingredients in any of our products and are concerned about the possibility of cross contamination, we recommend that you do not use our products. Have you tried Pacific Foods Hemp Milk? What’s your favorite hemp milk brand? You have a real life opportunity to enter a porridge making contest. 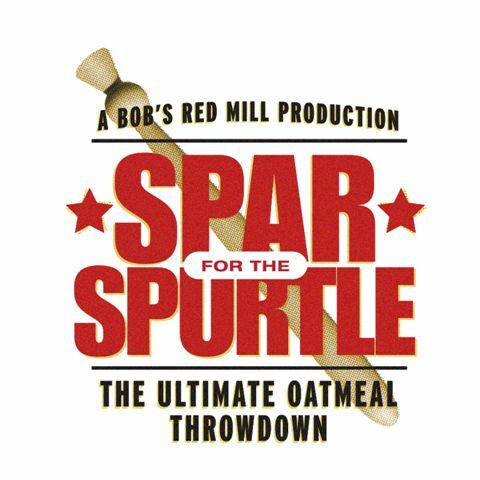 It’s called Spar for the Spurtle, and is sponsored by Bob’s Red Mill. As I’ve mentioned in the past, Bob’s Red Mill makes some of the best gluten-free oat products out there – including their gluten-free steel cut oats . 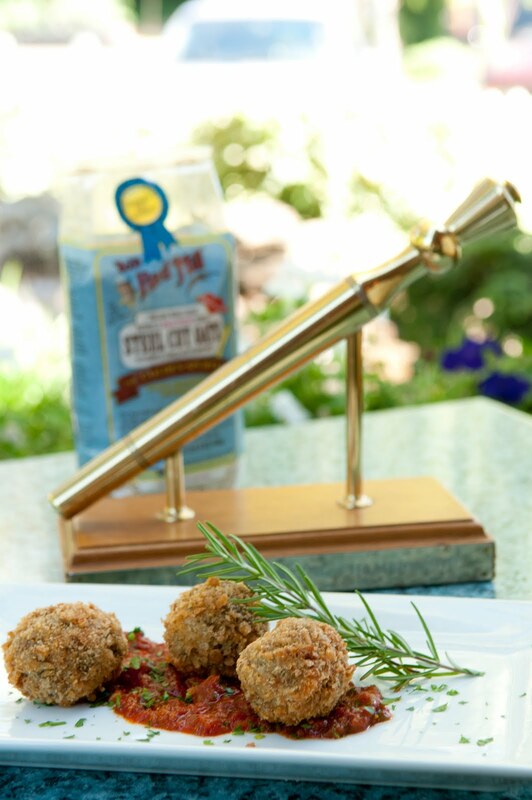 While gluten-eating participants would likely choose Bob’s Red Mill Golden Spurtle Steel Cut Oats for their recipe, entries can also be made with Bob’s Red Mill Gluten-Free Oats. To enter, you need to create a recipe and a short video. Click here for all of the details. Three finalists will be flown to Portland Oregon to compete in a live cook-off. In addition to a chance to compete for the grand prize, these finalists will receive some great goodies. 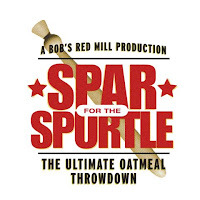 The winner of the cook-off will receive a trip for two to Scotland to help represent the Bob's Red Mill team at the 18th annual Golden Spurtle World Porridge Making Championship in October 2011. Are you wondering what a spurtle is? A spurtle is a Scottish kitchen tool dating back to the 15th century. It's a rod-like instrument that is traditionally used to stir porridge and prevent it from becoming lumpy. Updated July 30th: The contest deadline had been extended until August 7th. You have an extra week to get your entries in! A few weeks ago Enjoy Life Foods sent me some of their new crunchy cookies . I love it when I get boxes of goodies to try. It was hard not to open the boxes right away, but I waited until I was with my food-allergic son so we could taste them together. Spoiler alert: This is my favorite Enjoy Life product yet! I'm an Enjoy Life fan. I always have chocolate chips and now the mega-chocolate chunks in my pantry for my baking projects, but it's nice to have a box of cookies you can just open and enjoy. I like the Enjoy Life soft-baked cookies; my favorite is the double chocolate brownie, and my son's favorite is snicker-doodle. I love the new crunchy cookies. The folks at Enjoy Life revamped their formula to make the new crunchy cookies. While the soft-baked cookies are made with sorghum flour, the crunchy cookies are made with a mix of rice, buckwheat, and millet flours. In my opinion, it's the buckwheat that's the secret weapon here -- an ingredient you don't often find in a product like this. My son's favorite was the sugar cookies . Mine? Why the double chocolate , of course. Have you tried them yet? What did you think? Not sure what to do with all that cabbage you brought home from the farmer's market or your CSA? 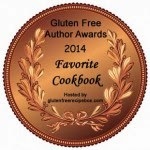 Check out my recent post at the Living Harvest blog for my recipe for allergen-free cole slaw. The head of cabbage I brought home last week was enough to make at least three batches! Do you think I could put cabbage in muffins? What are you making with your cabbage? If anyone missed it, here's the post where I reviewed the SQ1 fruit purees, which are perfect for allergen-free baking. You can find the entire line of Square One Organics products here. Square One Organics products can be found at amazon.com , peapod, and at the Square One website.